We here at Action Two Africa (A2A) are saddened to let you know that our office in Kiambiu, Kenya, is now closed due to a lack of funding. Over the last few years, we have not received adequate donations to support the office space that Humphrey previously worked out of, and where children could come after school to study, write to their sponsors, and have a safe place to meet with their peers. However unfortunate this set back though, this doesn’t deter our mission or change our vision for Kiambiu. A2A will continue to provide educational sponsorships and mentoring opportunities to children in our Child Sponsorship Program. While we will no longer have a centralized office location, we are working on ways to continue to be a presence in the community and work with children and leaders in Kiambiu. We will do this by going back to meeting with families in their homes and finding an alternative location to host monthly board meetings. Additionally, we have been searching for ways to increase our funding over the last year. Since the inception of A2A, our primary source of funding has been from generous donors such as yourselves, but, we are looking to increase our scope of donors to include people and organizations in Kenya. 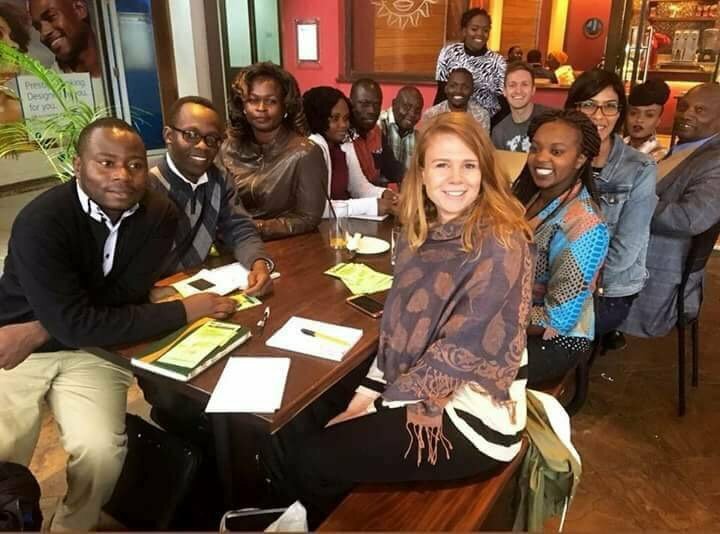 In March, Humphrey went to a GlobalGiving meeting held in Nairobi, in order to network with like-minded organizations and individuals. He was able to get information and resources from GlobalGiving and other participants on how to find funding within Kenya. Much like the United States, Kenya has organizations and grants designed to provide funding and resources to organizations like A2A. Humphrey has been diligently pursuing local and regional funding opportunities, and we look forward to the prospect of partnering with these organizations and individuals in Kenya, and continuing to grow and learn.